Home › Advice › Is it dangerous and distracting to listen to music in the car? The car is where many people listen to the majority of their music, and our cars are becoming ever more connected. 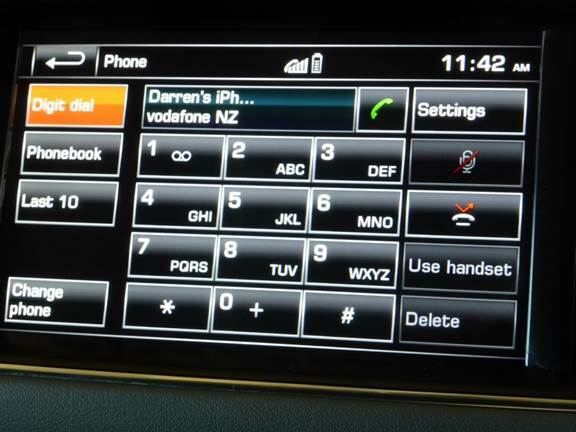 Some cars, like later model Holdens with MyLink, will interface directly with Pandora and Stitcher music apps so you can control them from the car’s touchscreen. Then we’ve got streaming music via Bluetooth and the plethora of radio stations. Some cars come with USB inputs for memory sticks, an input for an SD card and even a local hard disk. If you don’t have that, you can plug your headphones into your phone or MP3 player. All this choice for music means that your car is probably more powerful and fully featured than the stereo you have at home. Does music enhance your driving or distract from it? We’ve listened to music in cars for decades but do we know whether the type music has much effect? In accident statistics we know that ‘changing the radio’ is a common cause of accidents (and that includes fiddling with any type of controls, swapping discs or searching through MP3 files), but how many near misses are caused by us absentmindedly humming along to One Direction on the radio on a road with two directions, and how many are as a result of us deliberately choosing a specific type of music which changes our emotions and aggression? In 2013 a study by Brodsky and Slor assessed teen driver behaviour when listening to music and its risk factors. 85 young novice drivers with an average age of 17, all of whom had passed their learners test within the last 7 months, completed six trips in an instrumented learners vehicle. All participants committed at least 3 driver deficiencies; 27 needed a verbal warning/command and 17 required a steering or braking intervention to prevent an accident. Deficiencies were things like speeding, failing to indicate, failing to check blind spots, tailgating, and so on. The big finding, though, was that if the music was selected by the driver it increased the mood and enjoyment of the drive but it also produced the most frequent severe driver miscalculations and inaccuracies, violations and aggressive driving. However, other music didn’t necessarily have the same effect. The study used music on some trips that was structurally designed to generate moderate levels of perceptual complexity, and this music actually increased driver safety and improved behaviour! The study was only done on 85 drivers, all of which were novices, so we can’t draw any inferences about behaviour in the general population. After only have driven a short time, the neural networks that make certain tasks automatic haven’t formed that strongly with driving, and therefore the mental capacity needed to drive is quite possibly a higher percentage than for drivers that have 10 or 20 years of experience. Some people say that music helps keep them more alert on a longer journey – i.e. it prevents boredom. But, as we found out in this article about talking to passengers, any kind of distraction usually makes your driving worse. ‹ How distracting is talking on a mobile phone when driving?